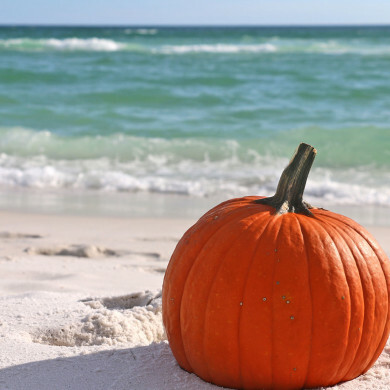 But we can tell you this – while summer may be our high season, fall can be an even better time to book your beachfront stay. The weather is never better, and hotel deals are ripe for the picking. So ditch your winter coats for a light sweater and bring your family to Orange Beach for a seaside stroll, where every brisk morning and pink-tinged sunset is something to celebrate. You’ll have a lot more to celebrate while you’re here, because we Southerners will use any excuse to have a party this time of year. Here’s a list of fun fall festivals to enjoy while you’re in town. Fall Bird Banding Session Bring a lawn chair and binoculars to watch migratory birds head South for winter. Annual National Shrimp Festival A big festival for a small crustacean, with music and children’s activities. Boo at the Zoo The Alabama Gulf Coast Zoo celebrates Halloween. Trunk R Treat at the Wharf Take the kids for candy at this fun entertainment complex. Annual Oyster Cook-Off & Craft Beer Weekend at The Hangout Oysters and beer overlooking the Gulf. Sounds good to us. Alabama Coastal Christmas From Thanksgiving to Christmas, enjoy festive events along the coast, including boat parades and concerts — like 2014 headliner Aaron Neville.